The scientific names of Yerba Santa are Eriodictyon californicum, E. glutinosum, and Wigandia californicum. However the more common names of this plant are the holy weed, gum plant, tarweed, consumptive's weed, bear's weed, mountain balm, and eriodictyon. 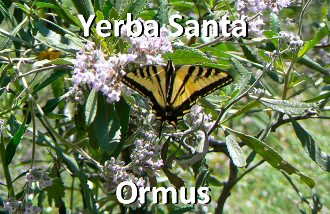 The Yerba Santa plant is actually a very aromatic evergreen shrub that is native to the mountains and hillsides of Oregon, California as well as in the northern parts of Mexico. This plant usually grows up to about eight feet in height, or roughly 2.5 meters. The Yerba Santa leaves are quite slim with tips that are spear shaped. Its stem begins to branch out quite close to the ground and is covered with a sticky resin on the upper side of the plant. The leaves are quite thick and have a leathery feel to them. They are also of a yellowish color with the top part coated in a resin. The narrow leaves are usually about two to five inches in length and about 3/4 inches wide. The Yerba Santa plant has flowers that look like miniature trumpets and are either white or lavender/blue in color and bloom in July and August every year. The leaves of the Yerba Santa plant are most often used for medicinal purposes. Spanish priests gave the Yerba Santa the nickname of ‘holy weed’ after they had determined the plant’s medicinal value from the Native American Indians. The leaves can be used either fresh or dried. They can be boiled and drank as a tea to treat Allergies, Colds, asthma and even tuberculosis. Traditionally the leaves of the Yerba Santa were either smoked or chewed on in an attempt to alleviate the symptoms of coughs, colds, headaches, stomachaches and asthma. In addition, Yerba Santa is also used as a pharmaceutical flavoring, to help cover up the flavor of more bitter tasting herbs and drugs. Yerba Santa leaf extract is also used in various foods and drinks. There are also many different herbal preparations that contain Yerba Santa leaf as an ingredient. 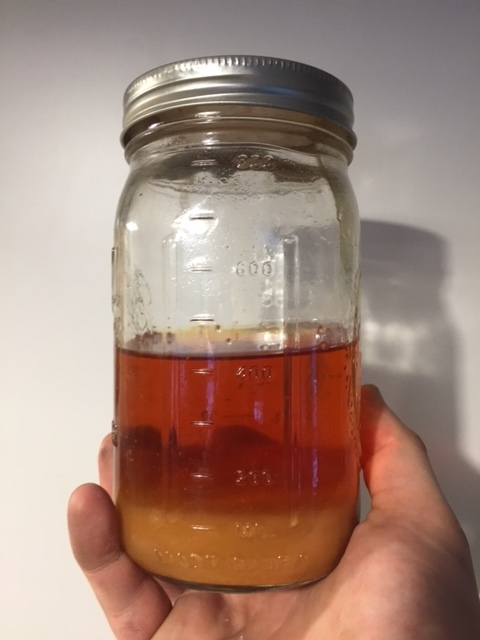 I made this Ormus on the Christmas night Full Moon in 2015 by taking Yerba Santa Powder and then adding it to negative ion charged Lightning water along with dead sea salt. 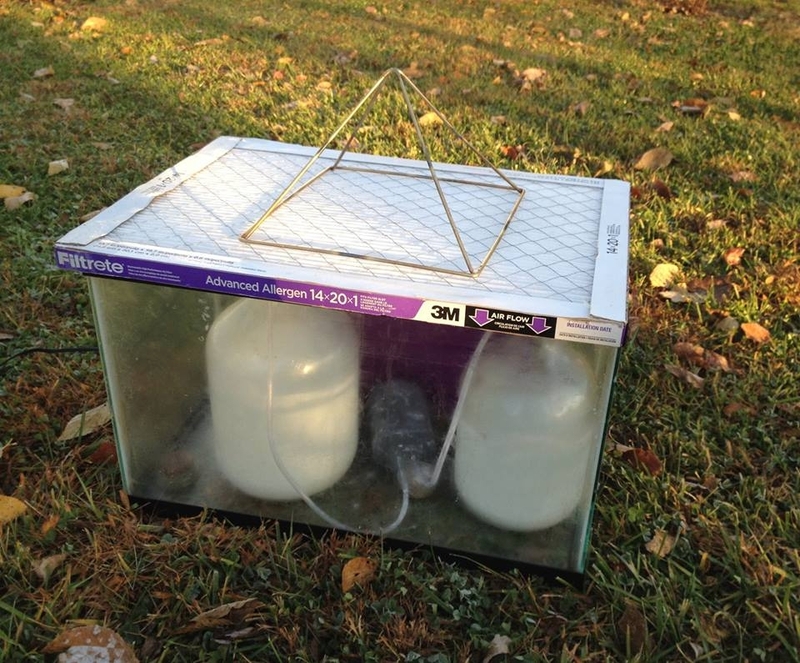 Then I added Natron (Baked Baking Soda) and let the Ormus drop out under the moon. After washing it 3 times it is now ready to enjoy all the benefits. Don't worry no Santas were harmed during this process. Locally collected Ormus minerals made with Yerba Santa Powder, Dead Sea Salt, and harmonically structured water.